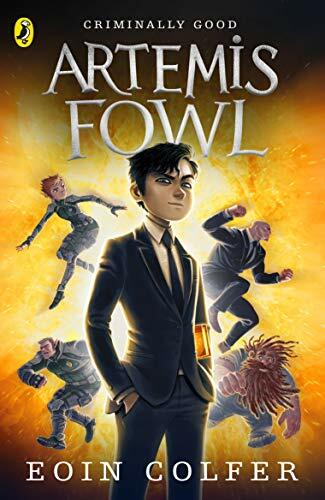 Artemis Fowl II is the son of a European crime lord, Artemis Senior. At the beginning of the book, his father has disappeared, along with the family’s fortune, and as a result his mother has gone into a catatonic state. 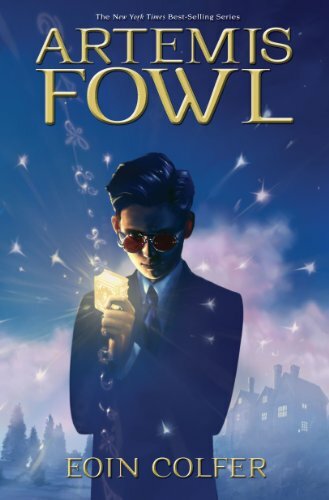 Along with his friend and bodyguard Butler, Fowl discovers the existence of fairies and in order to capture one, decodes their Book. He eventually manages to capture LEPrecon officer Captain Holly Short, whom he then proceeds to hold hostage for money. LEPrecon Commander Julius Root soon finds out, and leads an attack against the “Mud Man” what the fairies refer to humans as in order to take Holly back. To do this, they recruit the fabulously flatulent dwarf Mulch Diggums, to tunnel into Fowl Manor. However, Fowl remains ahead of the posse and manages to escape unharmed. The desperate fairies attempt to stop time and “blue rinse” Fowl’s house (which works like an atomic bomb) except that it only affects living beings. However, Fowl notices that his mother has, because of her condition, escaped the stop. He uses some of her sleeping pills to escape, to the surprise of the fairies. Artemis gets to keep the gold, which is actually a ransom fund for the LEPrecon, but exchanges half of it in order to revive his mother…..